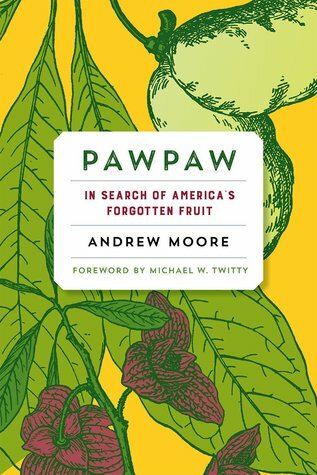 Check out a new book about one of the old fruits, the pawpaw. I grew up in Ohio hearing about pawpaws but only seeing them in fruit butter form. Sightings of fruit was and still is rare, except at farmers markets and festivals in places like Southern Ohio. The pawpaw was once grown in 26 states and so one can hope for an expansion of the fruit’s availability down here in Louisiana. Pawpaw fruits often occur as clusters of up to nine individual fruits. The ripe fruit is soft and thin skinned. When ripe, it is soft and yields easily to a gentle squeeze, and has a pronounced perfumed fragrance. The skin of the green fruit usually lightens in color as it ripens and often develops blackish splotches which do not affect the flavor or edibility. The yellow flesh is custard like and highly nutritious. The best fruit has a complex, tropical flavor unlike any other temperate zone fruit. At present, the primary use of pawpaws is for fresh eating out of hand. 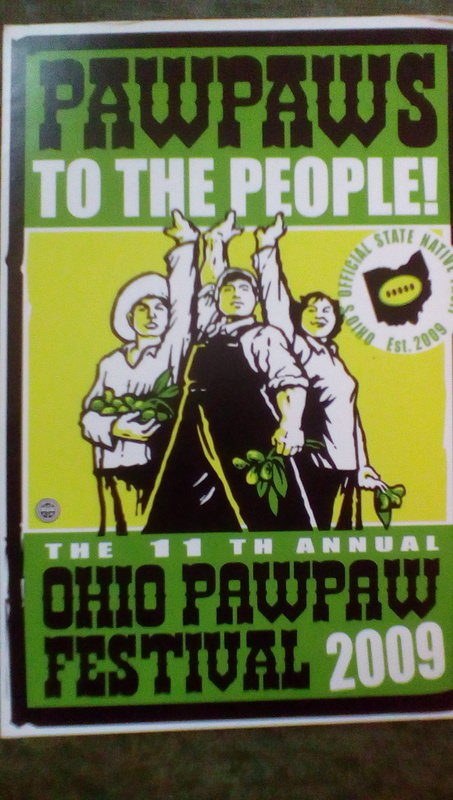 The ripe fruit is very perishable with a shelf life of 2 or 3 days, but will keep up to 3 weeks if it is refrigerated at 40° – 45° F.
Back in 2009, I even picked up a super cool postcard for that year’s festival that still hangs on my desk. The festival has been going on since the late 1990s and is an equal parts camping, music and educational rural Ohio festivity. Researchers at OSU are working to find out more about its health benefits and possible marketing potential. And now, Andy Moore has finished this lovely book , having raised money through Kickstarter. It is my evening reading this month and then I’ll be sharing it with other pals of mine who are also interested in reviving old traditions. Ask for it in bookstores near you.